With its Expert Vibro EV-16 Data Acquisition System device, Delphin has successfully combined the processing of complex functions with high levels of flexibility in a user-friendly system. Vibration measurement systems can now be used where they had previously been economically infeasible. The device is equipped with a high powered, dual-core FPGA processor based on ARM technology giving users ample reserves of processing power. Users are able to switch between voltage measurement, IEPE or shaft vibration sensors. Integrated comparators and digital inputs allow flexible triggering. Measurement data is monitored “on the fly” with digital outputs being switched within msecs in the event of limit value violations. Vibrations deliver information on the condition of bearings, shafts, and machinery and generally have a major effect on levels of quality in production processes. They should, therefore, be continuously acquired, intelligently evaluated and condensed into meaningful data for monitoring. In critical situations, machinery needs to be shut down within milliseconds. Expert Vibro combines the requirements and functioning of modern vibration measurement systems into a highly compact device. Other systems usually require multiple equipment. Vibration measurement is made easy with Expert Vibro. System installation and familiarization are short so that users can quickly start processing their data. 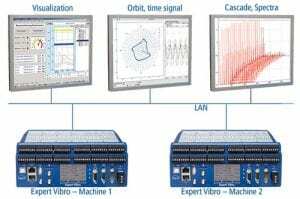 Expert Vibro provides users with analysis and monitoring functions, intelligent signal processing, an independent data storage capability and versatile Fieldbus connections – all in a single device. Right from the outset, users save costs and avoid troublesome interface problems. Of special benefit is the modular system for signal processing with a range of preprocessing functions. Filters, such as high, low, or bandpass with rectifiers, integrators, differentiators or decimators can be selected to make up a preprocessing sequence. Multiple preprocessing sequences are able to run in parallel in order to evaluate an input signal. This gives users an especially high level of flexibility. Non-periodic signals, such as in fault diagnostics, can be analyzed precisely using Expert Vibro. In continuous sampling mode, even the smallest of irregularities are recorded. Expert Vibro measures, monitors, and records fully independently. 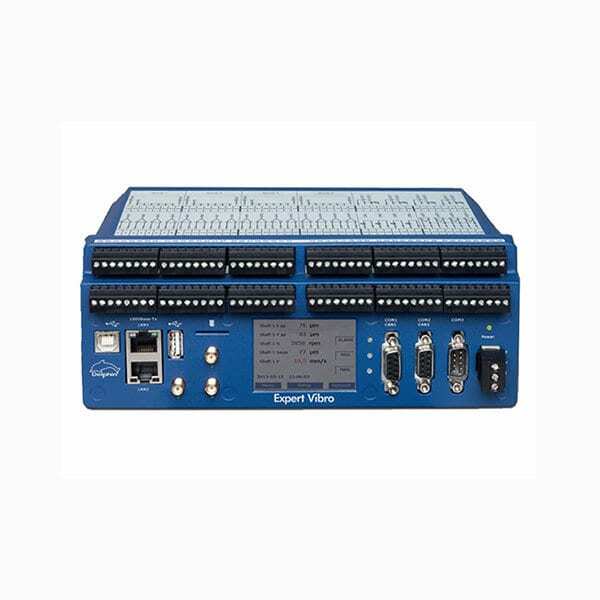 Expert Vibro is equipped with its own internal data storage capability making it especially reliable and secure. The configuration of ProfiMessage is done with the ProfiSignal software “Data Service Configurator/Device Configurator”. The representation of the channels is clear and intuitive operation, similar to Windows Explorer. Double-click on a channel will open a configuration dialog in which all channel properties can be adjusted. The individual configuration files are stored in XML format in the ProfiMessage equipment and can be alternatively edited with an XML editor offline. Monitoring and automation tasks can be realized using ProfiMessage software channels. Software channels are pre-defined function modules that users can generate and configure per mouse click and then subsequently run within the device. All functions are performed autonomously by the powerful internal processor. This guarantees full operational security for the ProfiMessage device. 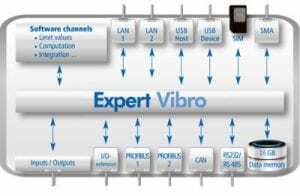 Expert Vibro can be connected to a network via a LAN interface or to a PC via a USB connection. 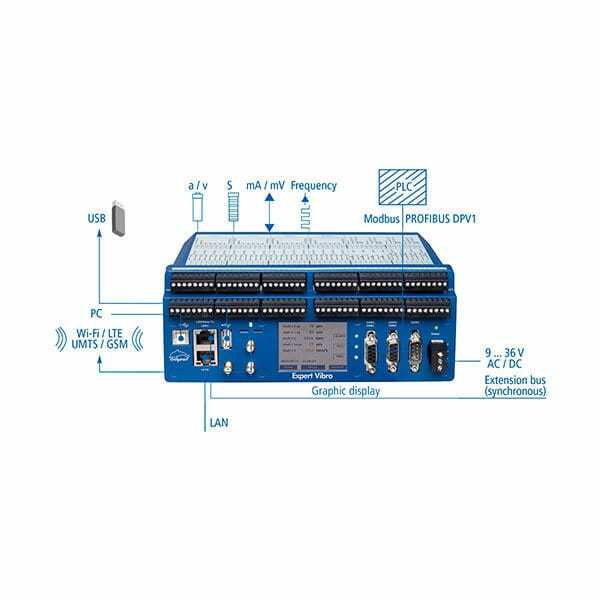 For field bus connections, the device has two PROFIBUS DP Slave interfaces, a Modbus TCP and a Modbus RTU, and a user-configurable CAN interface. The interfaces can alternatively be used to connect any other measurement equipment and sensors via RS232/485 ports. ExpertVib is integrated into PROFIBUS via a GSD file. An option is available to switch operating mode to redundant (according to PNO 2.212 V1.2) PROFIBUS. The LAN and RS485 interface can also exchange data via the Modbus TCP/RTU protocol. 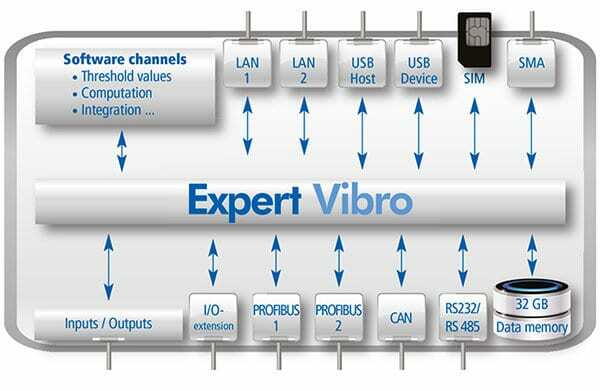 Expert Vibro supports this operation as a Modbus master or slave. The LAN interface transmits all data from measurements and software channels online and at high speed across the intranet or internet. Any networked PC can access the device via this interface. To measure vibrations from multiple channels, multiple Expert Vibro devices can be synchronized with each other.